Gentle on the child's skin and washes right off without any issues. The crayon color wipes off easily from the tub, tiles and the fiberglass. Wash off easily from most newer, non-porous bath surfaces. Available in nine bright and striking colors. Comes in retractable hard plastic case. Crayola Bathtub Crayons can easily break. They may not write on the wet surface. Not recommended for use in traditional tubs or showers that are in poor condition. This is the summary of consumer reviews for Play Visions Crayola Bathtub Crayons. 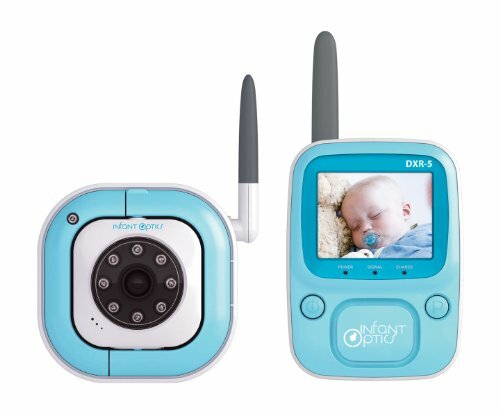 The BoolPool rating for this product is Good, with 3.90 stars, and the price range is $3.49-$10.95. 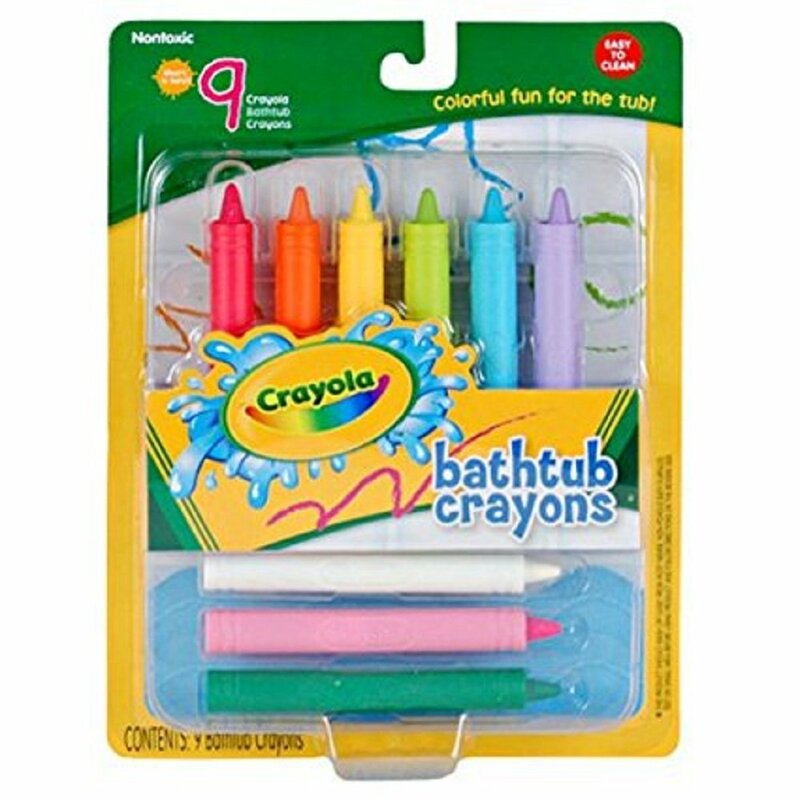 Bring out your child's creativity and imagination and make bathtime more fun with Play Visions Crayola Bathtub Crayons. They come in nine bright and striking colors in a retractable hard plastic case. It is easy to hold, use, and clean. They are non-toxic, unscented, and gentle on the child's skin. Users love Play Visions Crayola Bathtub crayons. Kids love to draw with the bright and striking colors with great fun on the bathtubs, tiles, and fiberglass. Parents are happy as they keep kids occupied for the whole bath time. The colors are gentle on the child's skin and wash right off without any issues. The crayon color wipes off easily from the tub, tiles and the fiberglass too. Kids who have shown fear of bath and shower times are now having a good time. However, Play Visions Crayola Bathtub Crayons can easily break, and they may not write on wet surface. 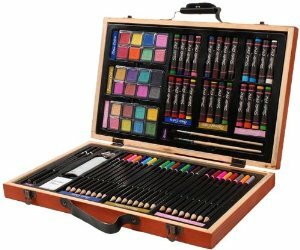 Overall, Play Visions Crayola Bathtub Crayons is a great product to practice the child's writing or to create an artistic masterpiece. Kids love it, and it is easy to clean. The colors on the walls get easily wiped off. Kids enjoy wiping the fiberglass as it cleans easily with a wet washcloth. They clean up easily with just water. It is gentle on the skin and washes right off without any issues. my kids love it and its so easy to clean. It just doesn't feel like a clean bath once the kids start using them. These are by far the best way for the kids to write in the bath. In fact, they wash off the fiberglass easily with a wet washcloth, and my kids enjoy doing that for me (thank goodness!). I always had the kids wash off thier artwork before getting out of the bath. They wipe off the walls very easily and clean off of skin pretty easily, too. They do clean up really easy with just water. This also means kids can extend the crayon out of the plastic completely. Kids review ABCs, and 123s with great fun. They break easily but keeps kids occupied for the whole bath time. We've such fun ABCs and 123's reviewed with great fun. Takes a little elbow grease to remove from walls but worth the fun!. My little girl has had hours of fun with these. Still....great fun while they last. Easy on easy off, no staining. The kids had a lot of fun with these and I loved how easy it was to clean up afterwards. They do break easy, but they keep her occupied for the whole bath time. 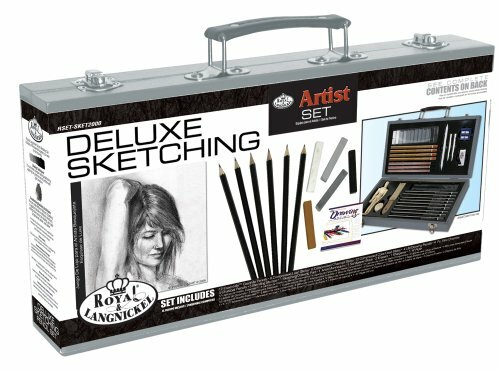 These are fun and I like to draw with them too! Crayons were easy to hold and use for 3 year old and still a lot of fun for 9 year old. They may nott write on wet surfaces. They didn't write on the shower when the tile was just a little wet. 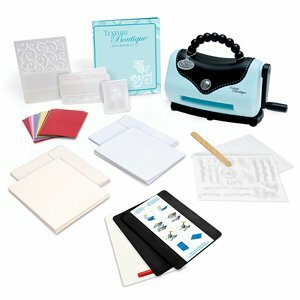 We use these to write notes to each other in the shower. My son uses these in the shower which is more difficult since they don't write on wet surfaces as well. I use these to write things down when I'm in the shower. I got these crayons so that I could write down ideas in the shower. I bought this for my grandchildren, but found myself using them to write love notes in the shower for my spouse. Unfortunately, they work very poorly on wet surfaces, which is essentially everywhere in a shower because of the splash. These hardly worked in the tub, rinsed off with the shower water (problem since usually used in the shower) and got crumbly and broke apart when left in water overnight (whoops). Now we leave each other love notes in the shower it's become a ritual. It takes having fun in the shower and mixes it with being responsible. Kids love it but stain the tub even after light use. My daughter and son love these but after two days on light use, they've stained our tub. He loves tub crayons and markers he's real happy with them. My 7-year old loved it, and a month later is still using them in the tub. The crayons work really well on our tub and tile and are pretty easy to wipe. Love bleach stains on your clothes?. They clean up very easy off of the tub! My 4.5 year old boy loves them. My 2 year old LOVES these! These are fun and my grand-daughter loves them. Once the kids start using them, after few days the bath looks unclean. Really good at coloring but really difficult to clean from my tub's surface. I haven't let these fall in the tub to see if they disintegrate like some reviewers said, but they write very well on my fiberglass tub wall. The kids were coloring and now I've stains all over the tub. The crayons are brittle and break easily and don't write well on wet surfaces (kind of important for a bath tub crayon). These crayons WON'T remove from your tub walls. Smudges and sticks to tub!!! They also are hard to wash out of the tub and I've had stains left over even after scrubbing with comet. Color doesn't wash off easily as it advertises. they broke off as soon as my son applied any pressure to it to color the walls of the tub. The color comes off cleanly from the tub but they just don't last. Kids love playing with many different colors of Crayola Bathtub Crayon. It is easy to hold and use. Crayola is the best brand to buy. 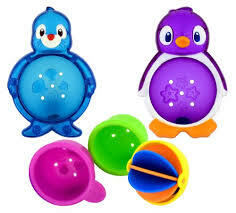 My 19 month old son loves playing with these in the bath and I love how many different colors you get. My three year old son loves these. My son loves drawing word puzzles for me to figure out and vice versa. My 2 year old loves to use these at bath time. My grandson loves these very easy to hold and use !We use them every night . Crayola is the best brand to buy they really work with water . My son loves these and we've purchased several sets already. My daughter loves to draw, so these were a no brainer when I found them. The children love them, but they're difficult to remove. The colors are bright and vibrant and pop against the white of a bathtub. My kids love coloring in the bath. My daughter loves to color on everything, so these are essential for her bath time art needs. My Daughter is 2 & LOVES both Bath & Shower time. My son loves to color! My daughter loves to draw while in the bath. Has some really great colors, not just primary colors. I bought these for my almost two year old daughter who LOVES to color. We love the variety of colors and they work so well. The colors are bright and vibrant and really pop against the white of a bathtub and my 2yo loves bath time even more now. Kids who have shown fear of bath and shower times are now having fun. I'll have to use mr. Clean magic eraser to clean the bath tub. Washes off tub and tile walls easily. They write easily on the tub walls whether wet or dry and best of all, clean up is incredibly easy. its easy to clean off bath tub, we use a rag for her eraser. Easy to clean of walls. They mark on the tub and clean up very easily. I bought these bath crayons because my daughter developed a strong fear of showering and bathing after having an incident of falling into her bath tub that was filled with water. Says the package, "Easily Washes Clean!". She's a lot of fun with them and it's fairly easy to clean off of the tub and shower walls.